New York Recording Artist Big Calaco Releases New Music Project "Relentless Takeover"
Coast 2 Coast Mixtapes announces the release of a new mixtape "Relentless Takeover" by Big Calaco; currently seeking blog placements and interviews. 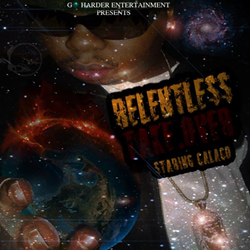 Coast 2 Coast Mixtapes announce the release of the "Relentless Takeover" Mixtape by Big Calaco. This new music project is currently available to stream and download on the Coast 2 Coast Mixtapes website. Big Calaco is an independent Hip-Hop artist from Rochester, NY. "Relentless Takeover" is his first official release through Coast 2 Coast Mixtapes in partnership with his label Go Harder Entertainment. 17. BIG CALACO - R.I.P "REVENGE.IS.PROMISED"